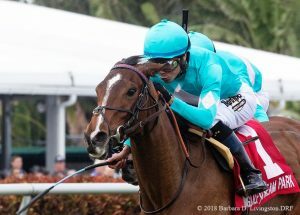 Thewayiam (FR), a BSW Private Purchase from France, scored her first Graded Stakes win in the G3 Sweetest Chant on Saturday at Gulfstream Park on Holy Bull day. Finishing a close second was Salsa Bella (FR), a public purchase from the Arqana Sale for Madaket Stables, Mike Dubb and Bethlehem Stables. 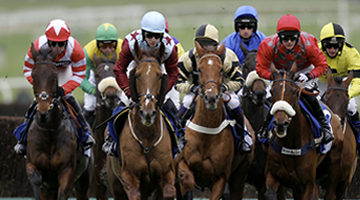 Both fillies were purchased in conjunction with the Mandore Agency. Jose Ortiz gave an absolutely text book ride on ThewayIam, saving ground down the backside and at the quarter pole, came with a blazing run down the middle of the stretch to win. 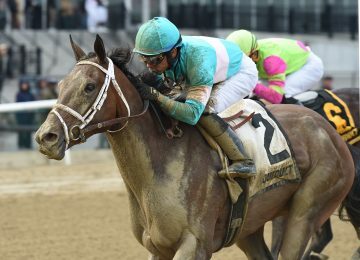 This win marks her third out of four starts in the U.S., including two stakes victories. 2018 caps a hand-full of victories for BSW Bloodstock managed clients in the G3 Sweetest Chant. 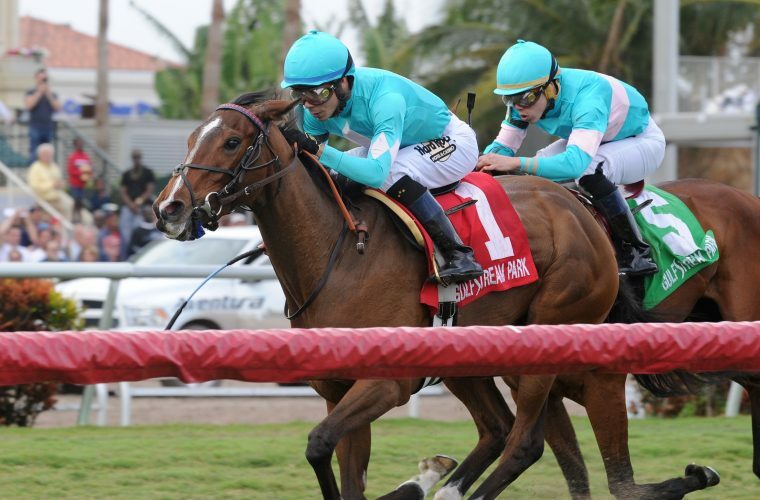 BSW Bloodstock bought into Consumer Credit after her win in 2015 and managed the filly for clients Adam Wachtel and Gary Barber right through her sale in 2016 at Fasig Tipton November to Al Shahania Stud for $700,00. In 2016, Pricedtoperfection was victorious in the Graded event and was later sold with ELiTE Race Sales at the 2017 Keeneland November for $775,000. 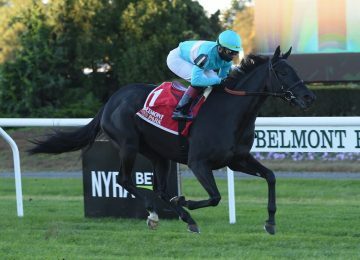 Rymska (FR), privately purchased from France for clients Sol Kumin, Tom Coleman, Elayne Herrick in partnership with her original owner Alain Jathiere, took the 2017 rendition as she rolled down the stretch giving Chad Brown his 6th consecutive victory in the race. Congratulations to owners Great Point Stables, Mike Dubb, The Elkston Group and Bethlehem Stables, trainer Graham Motion, and jockey Jose Ortiz.